Another day, another improvement report. This one has two elements that make improvement reports extra special. #1, it’s Adam posting in the Facebook group. E-mails are great too but Facebook helps removes some potential concern about these all being genuine. I know, you’re thinking it. 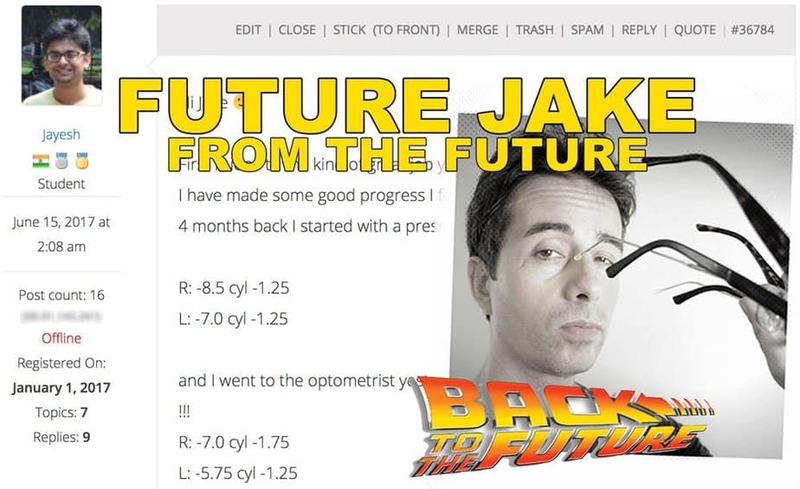 Jake’s not likely to put in the effort to fake hundreds of e-mails for years and years. Fair concern though, the Internet is full of made-up unicorn farming. I’d rather have you skeptical than overly trusting. So, Facebook. 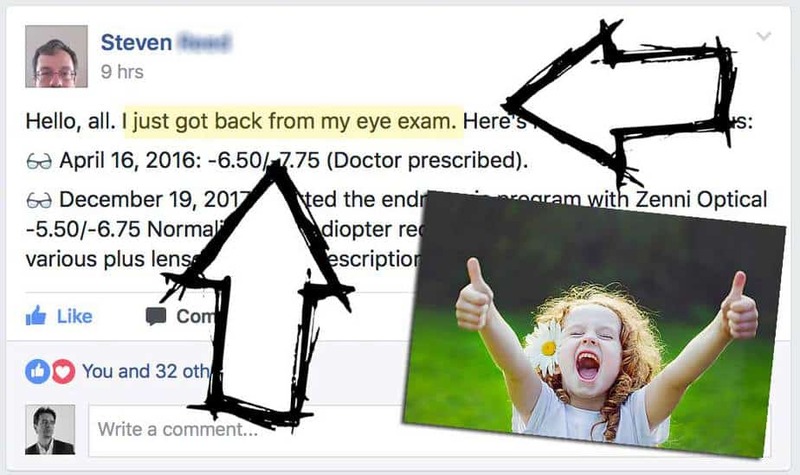 #2, optometrist confirmed improvement. We have so many of these that it almost warrants putting together a whole additional category of improvement reports. And granted, many of us don’t really care what the optometrist says. 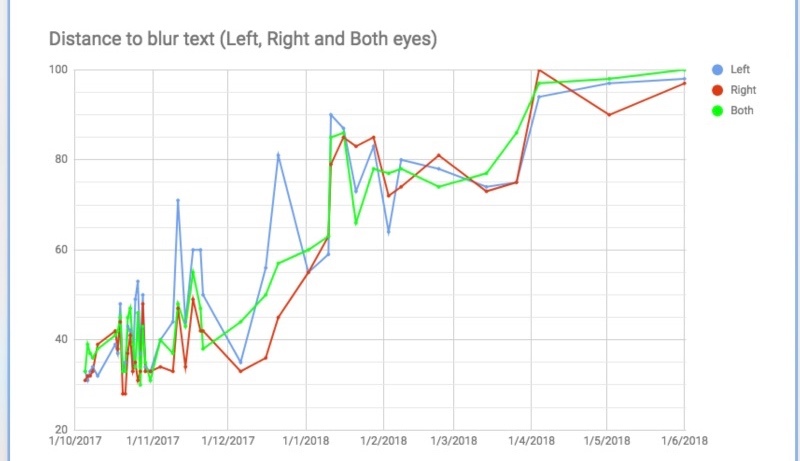 Your darling eye guru avoided optometrists for years, not wanting to hear potential snarky comments and refusals to do a proper consult (telling you along the way what diopters they’re dialing up, having a printed, not projected chart, usable lighting). But it’s an extra trophy to collect, the optometrist confirming all your 20/20 gains. I’m really happy to keep seeing this resource evolve and grow. Darling kitteh readers taking the time to help newbies in the Facebook group. Lots of positive and thoughtful e-mails. 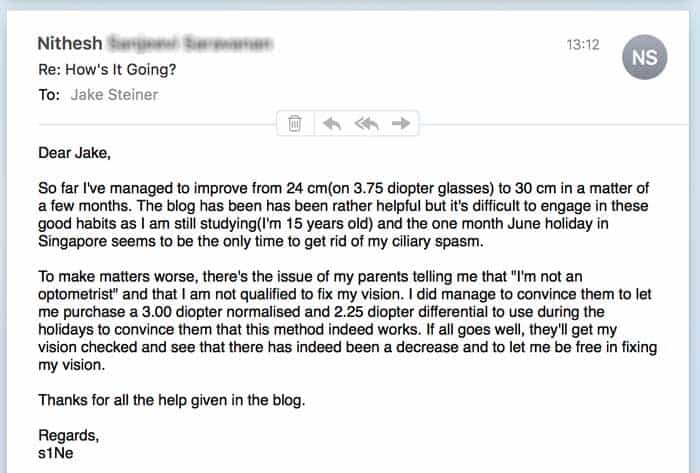 Remembering to post improvement reports so others get better perspective about what we’re doing. All these things really add up over time. And here again, look at the key pieces. 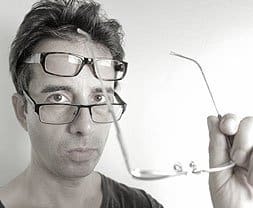 Nithesh is taking all the endmyopia ingredients, and testing their viability. 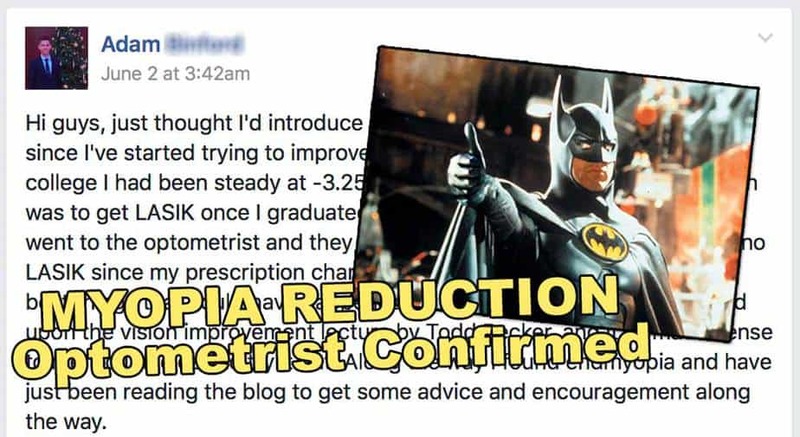 He makes small diopter reductions, and tracks centimeter changes. 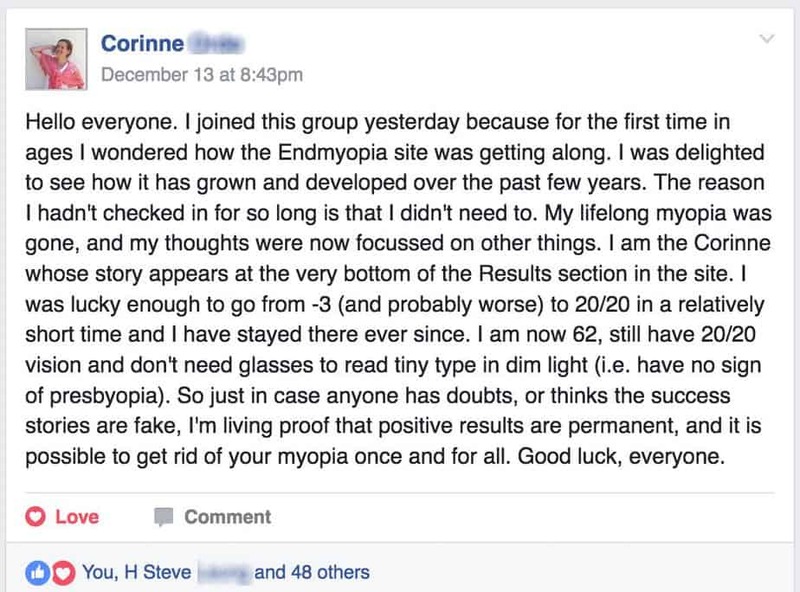 This is a rather safe and effective way to self-experiment a bit, giving you definitive and tangible numbers to back up your experience with myopia reduction. And of course parents absolutely should be skeptical. 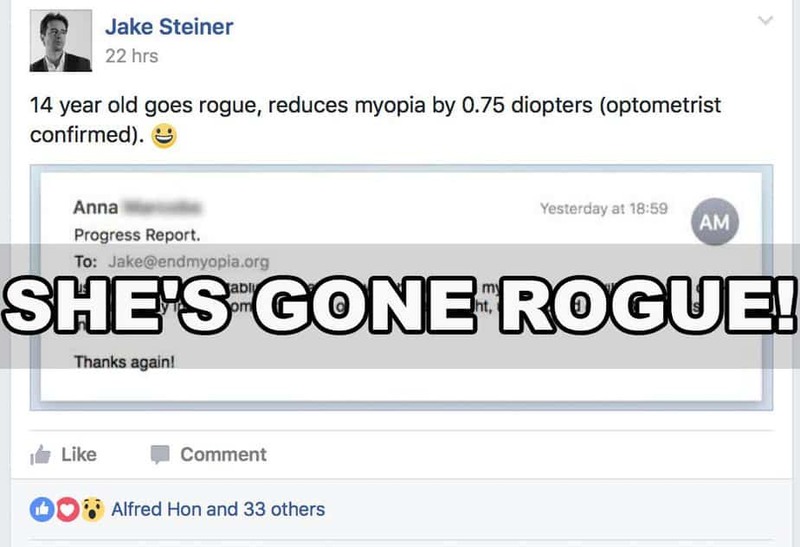 Imagine your kid telling you that they found some random last-of-the eye gurus online and soon they’ll no longer have myopia. I’d probably be a little less than amused if my kids randomly got all counter-mainstream and self-experimentey. Weariness is apropos. Hopefully Nithesh will keep us posted. 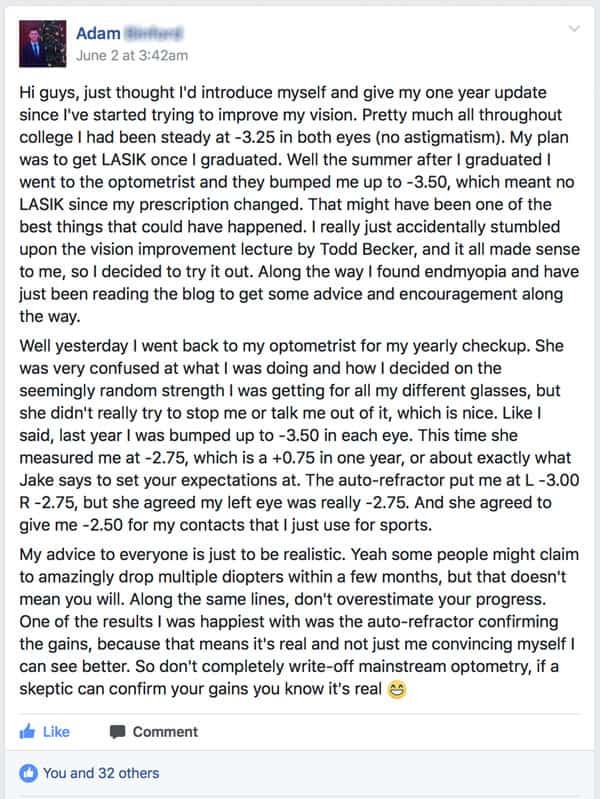 Hopefully he’ll keep making 20/20 gains and his parents will get behind his concerted efforts not to be part of the 90% of myopic kids in Singapore. It’ll be a rare victory and ultimately the parents might be proud of that level of critical thinking, patience, and perseverance. Keep being part of these experiences. Your actions may well contribute to more of our next generation to find their eyesight.